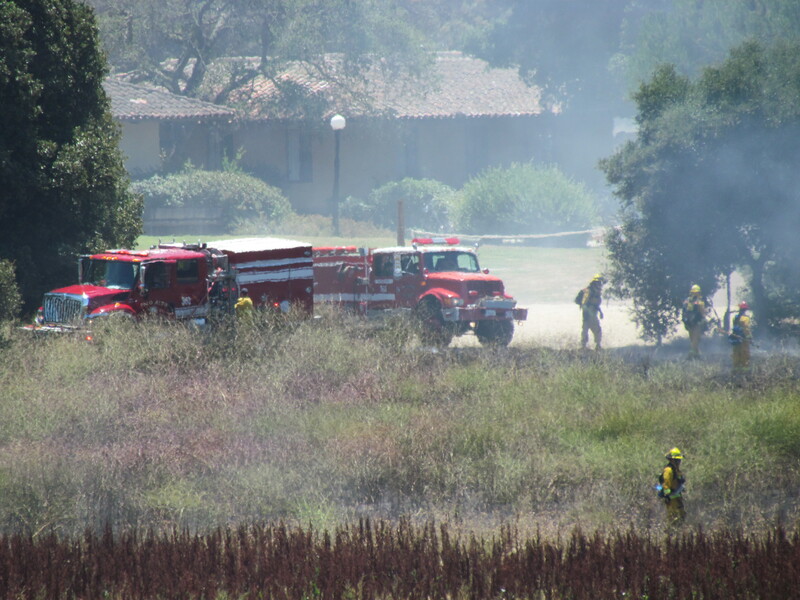 Newsroom by the Bay students watched Friday as firefighters and police responded to a sudden fire that began in the dry grass growing in a waterless Lake Lagunitas, near the Lagunitas Housing Complex at Stanford University. The blaze began at approximately 12 :30 p.m. and firefighters responded within 10 minutes, according to observers on the scene. The fire began as a result of a model plane crashing in the Lake Lagunitas basin, according to Deputy John Fong, a member of the Stanford Police Department. No students were injured, according to NBTB Co-Director Beatrice Motamedi. Some students watched the fire from the edge of the lake, but captured shots of the blaze (see gallery below). “By the time I got there, (the fire) was pretty well-controlled.It was mostly just smoke at that point,” said Emily Ducker, also a Year 2 Argus team student. While it is unclear how the plane caused the fire, after months of drought that have seen no steady rain in the area, the dry lake grass quickly caught fire and spread rapidly. Firefighters contained the fire, though small flare-ups appeared as the main blaze lay smoldering. For more photos of the blaze by Maggie McAden, see the gallery below.